The trend-conscious Nora Envelope Bag will make a chic entrance into your style edit. Crafted in Italy it's designed to match your look day-in-to-night-out. The newest addition to the Teddy Blake designer handbag collection is the Maya shoulder bag. Crafted in Italy from a combo of leather and elegant suede to inspire endless charm. Channeling both classic&modern lines, the Bella is the perfect companion for today's woman. Crafted in Italy from Saffiano Leather, it can make an effortless transition from desk to dinner. Keep your daily essentials stowed safely in this chic accessory. Crafted in Italy from textured Saffiano Leather. A timeless style-fire investment piece to have & to hold. Crafted in Italy with textured Saffiano Leather. Stay organized in style with the compact chic card holder. Crafted in Italy from textured Saffiano Leather. Balancing minimalism with mainstay chic, an ideal choice. Crafted in Italy with smooth Vitello Leather. The ultimate carry all bag for any style seasons. Crafted in Italy from soft Suede Leather. Opt for a modern shapeto get an effortless cool look. 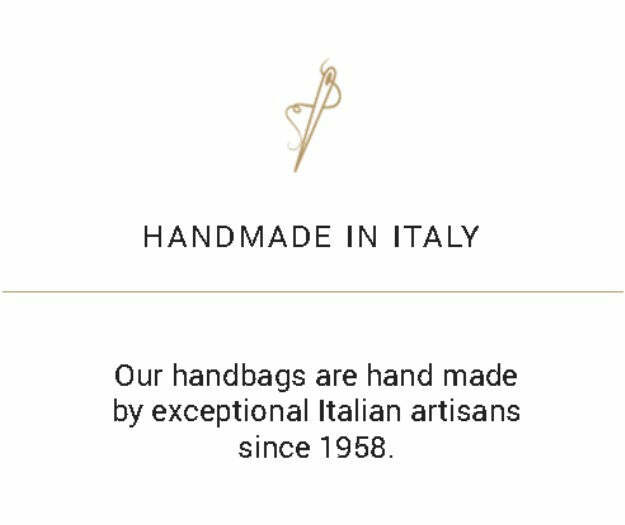 Crafted in Italy from smooth Vitello Leather.